Neighborhoods East of the River in Washington, DC, have not had a bookstore for many years. Pyramid Books, formerly on Good Hope Road, was the last in Ward 8. Ward 7’s last bookstore, on Sheriff Road, which sold Christian religious texts and related items, is also long gone. There are small shops, offering specialized books, inside the Frederick Douglass Home, America’s Islamic Heritage Museum, and a few other nearby spots. In addition, Mahogany Books, which opened in late 2017 — just around the corner — offers African American literature. But the Charnice Milton Community Bookstore will serve a serious need in the area. “Every neighborhood deserves a bookstore,” says activist and co-owner of WeAct Radio Kymone Freeman. 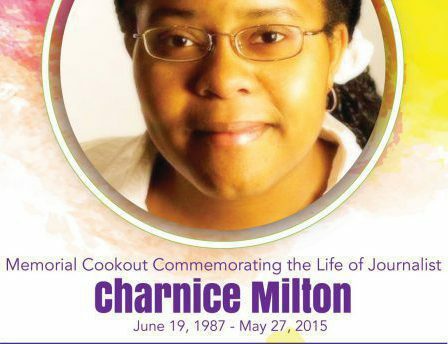 He also stresses the link between literacy and reduction in crime, especially the sort that took the life of journalist Charnice Milton in May 2015. Books are arriving by arm and carload.